William and Jean Drewry with Mary and 3 younger siblings, 1917. William Drewry was born on a farm in Lincolnshire in 1876. His mother died when he was quite young and the family moved to London. When he was only twelve his father died, leaving him an orphan with no one to care for him but a neglectful and sometimes abusive woman. He was a small child by today’s standards–only 4’7″ and 70lbs. Unwilling to continue living with this woman, and with his nearest relations unable to care for him, he was admitted to Dr. Bernardo’s home for boys. He was not there very long before he was given the choice of emigrating to Canada or Australia. Like many unfortunate children he became a farm labourer in Ontario and was mistreated by his employer. William was able to overcome the challenges he faced in early life and it was in Ontario that he met and married Mary Jane (“Jean”) Graham. William gained his 2nd engineer’s papers and worked for a time in plumbing and construction before moving with his wife, eldest daughter, and mother-in-law to Whonnock. The three youngest Drewry children were born in Whonnock. 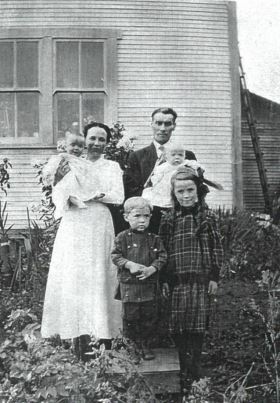 The Drewry family settled in Whonnock in 1914. The land they had purchased had not yet been cleared, and there was no house on the property. While building the house, the family stayed with Jean’s relatives. William worked whatever jobs he could find in the daytime but the evenings were devoted to building the house. The home cost $265.36 to build and Jean kept a log of the work done. The family was able to move in about four months after the arrived in Whonnock even though the interior of the house was not yet finished. The house was only half a mile away from the school that the Drewry children attended. There was only one store in the area at the time, which was owned by relatives, and which carried a few necessities but mostly only feed for livestock. Before cars became commonplace the drive from Whonnock to Haney with a horse and wagon was a long one. 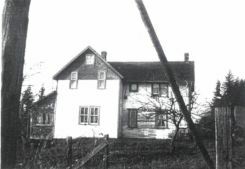 The Drewry house is still standing (located at 26721 – 100th Ave) and in 2002 it was recognized with an award from the Maple Ridge Community Heritage Commission. 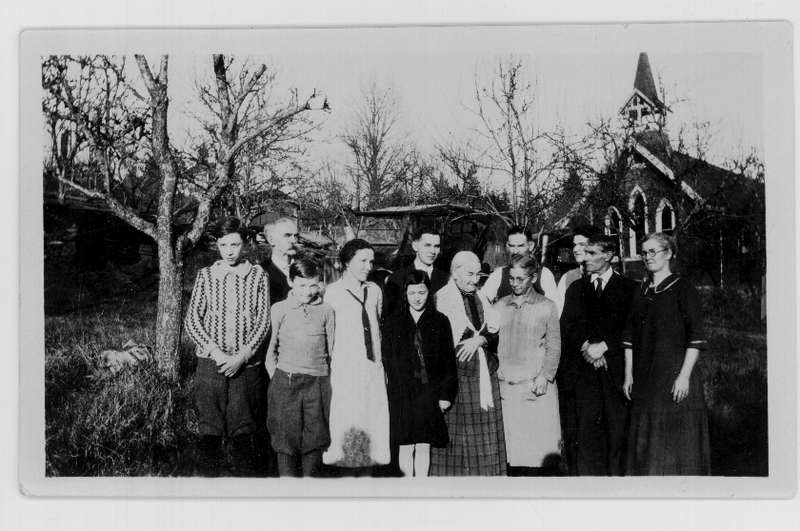 Members of the Graham and Drewry families taken Christmas Day 1928 in front of Whonnock United Church. Mary Drewry was the oldest of William and Jean’s children and was eight years older than her nearest sibling, consequently she had a great deal of responsibility in caring for her younger brother and sisters. She spent a great deal of her life caring for family members and chose nursing as a profession. She graduated from nursing school in 1932 and a few years later contracted tuberculosis. She survived tuberculosis and continued to lead a full life. In 1963, at the age of 57, she married Bob Elliot. While living in Whonnock she was a very active member of the local United Church. Mary died in 1998 in Mission.